Circular table CH388 has a 120 cm two piece table top mounted on a stainless steel frame complete with extension rails to accommodate up to two 60 cm leaves. In 2001, Carl Hansen & Søn purchased Tranekær Furniture, a manufacturer, located on the Tranekjær estate on the neighbouring island to Funen, of Langeland. this fine series of tables designed by Hans J. Wegner comprising of an an elegant frame of polished steel supporting tops of solid oak or laminated board. 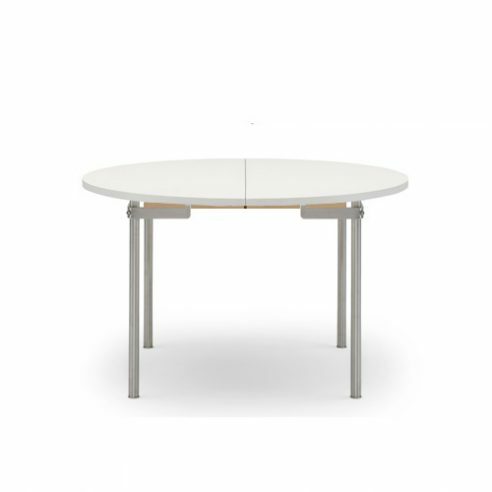 Table 388 is a light minimalist circular table that is ideal for use in small meeting rooms, canteens or in the home. Produced with a top in solid oak or laminated board with extension leaves to match or in painted mdf.